The Megalytic widgets supporting eCommerce can be found in the widget library grouped under the heading “Website eCommerce”. You can also display eCommerce metrics in the General Purpose widgets, as described in this post. However, the widgets in the Website eCommerce category can provide much more detail about where eCommerce revenue is coming from. 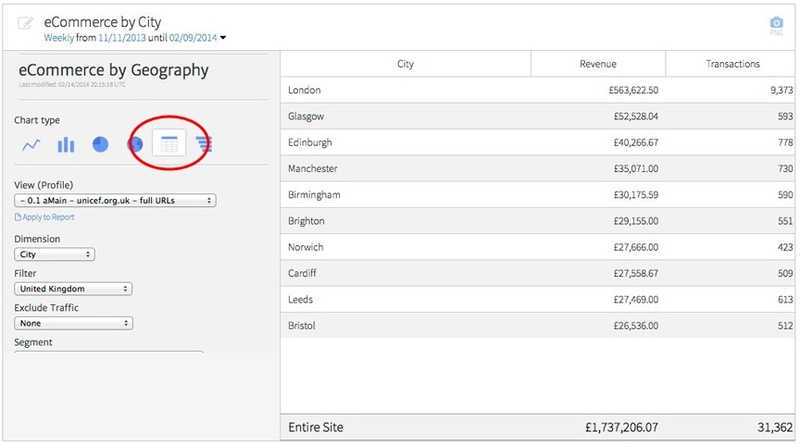 For example, suppose you want to show a breakdown of revenue by city in the UK. 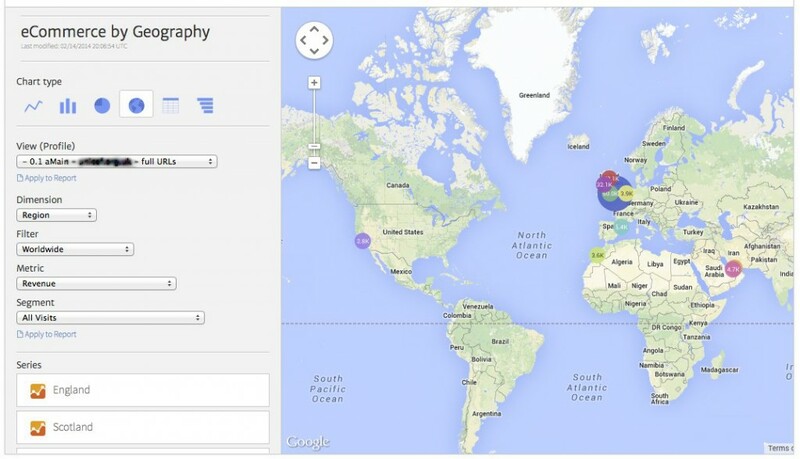 To do that, add the eCommerce by Geography widget to your report. When you open the widget editor, it should look like this. Under Dimension, select City, and under Filter select United Kingdom. 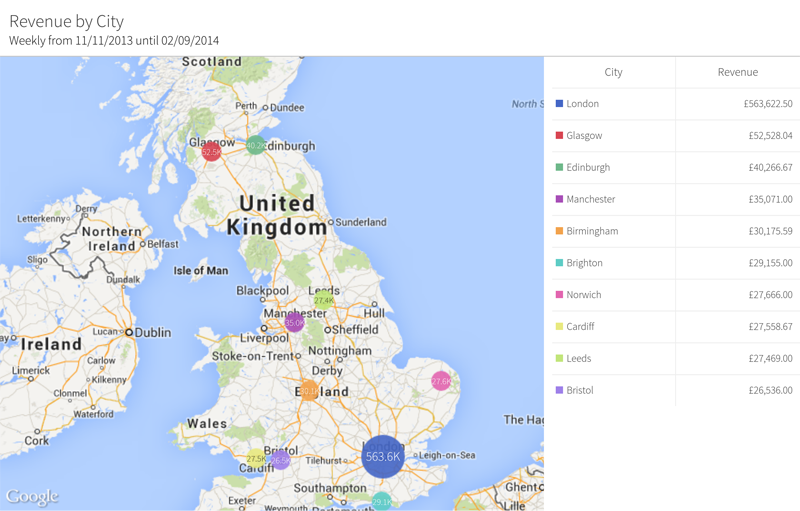 The map will zoom in on the UK, and highlight the top 10 revenue producing cities. It shows that London, Glasgow, and Edinburgh are the top three. If you prefer to display the data in a table, open the widget editor again, and select the table chart type.